We are shockingly good at watt we do! We’re a firm that’s known for first-rate professional panel change services. When you’re in need of top-quality electrical panel changes, you can count on us completely. Electrical service panels, in short, are the center of all the action in electrical systems. This is the reason electrical service panel problems can be so disruptive. Issues with electrical service panels can frequently lead to all kinds of headaches. They can lead to electrical appliance harm, power loss and even hazardous electrical fires. If you want to protect your property and all the people who spend time on it, you need to keep on top of your electrical service panels at all times, no exceptions. Our team members can assess your existing wiring system and determine whether or not electrical panel changes are imperative. We can dazzle you with panel upgrades that are everything you’ve ever wanted and more. If you’re searching for panel changes that never compromise quality and safety for a second, you can trust our company. 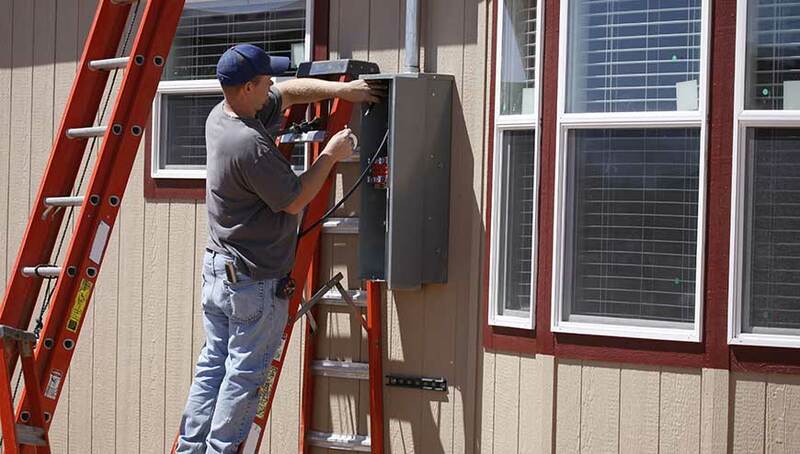 Our licensed electricians have substantial panel change experience. You can depend on our panel change work with pure confidence. No matter how urgent any electrical repairs seem, it’s never okay to attempt to handle them on your own. Trying to take care of electrical problems without professional training is extremely dangerous. If you or someone else aren’t hurt during your attempt, there’s still a chance that you’ve left something undone that poses a huge risk to you, your home, or your family. In fact, faulty electrical wiring is the number one cause of house fires in the United States, according to the National Fire Protection Agency. So in order to make sure that your home is safe, always rely on a professional for any electrical services. Circuit breakers that keep tripping, a flickering light on the back porch, or an exhaust fan that just won’t work properly—all of these are common problems homeowners face that have something to do with their electrical systems. But figuring out where the problems is stemming from can take a lot of work. Our license electrical repair technicians will find out exactly what’s causing the problems, and what other problem may be happening—or beginning to happen—for the same reasons. Then we’ll nip them in the bud. © 2019 Whips Electrical Services.